Antonio Conte called on new Italy head coach Giampiero Ventura to build on his work with the national team after their heart-breaking exit from Euro 2016. The Azzurri lost 6-5 on penalties to Germany in their quarter-final on Saturday after a 1-1 draw in Bordeaux. That ended Italy's hopes after a campaign that had seen them beat Belgium to top spot in Group E before knocking out holders Spain in the last 16. Conte now moves back to club management with Chelsea, but - having previously said he often felt isolated with Italy - expressed gratitude in his farewell press conference as well as giving words of support to successor Ventura. "I still feel emotionally attached - it was a great honour for me to coach these lads," Conte said. "It is a shame for them to go out because they gave everything they had. "I wish all the best to Ventura and I hope I have left a good outline for him to continue. "I wish the national team and Ventura well. I feel we have left a strong path that can take our colours higher and higher. "The most important thing from these Euros was ensuring Italy were respected by everyone, including the European and world champions. "I thank president Carlo Tavecchio for allowing me this extraordinary experience that will stay with me forever. "I thank the media too. I know I am not an easy person to deal with, but we got to know each other over these two years and reached great mutual respect. "I hope this is just goodbye and not a final farewell. Thank you from the heart." Tavecchio was also present and he gave Conte a glowing send-off after his two-year tenure came to an end. The president said: "This is a sad day for Italy. 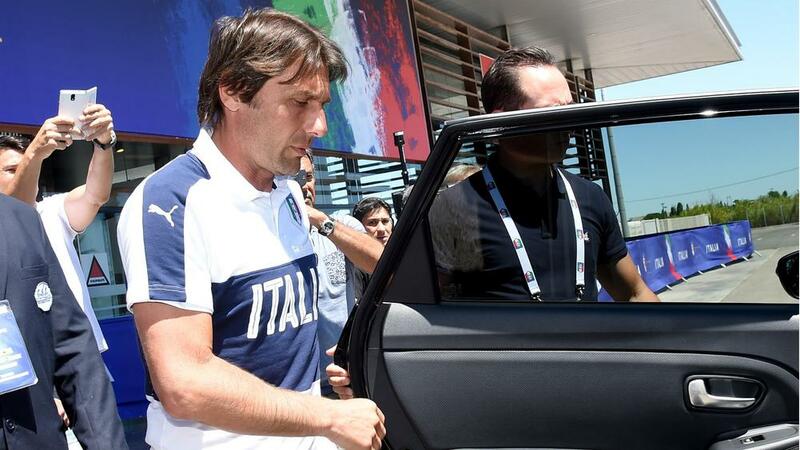 We restored honour to the Azzurri shirt and found a real leader in Antonio Conte. "Conte made his own precise plan. It's difficult to hold back a leader such as him and we hope he will return. "We made a huge effort, competing with big clubs, to get Conte on our bench. We knew it would be tough and probably wouldn't last very long, but we had to rebuild and that is what we achieved. "When we arrived after the 2014 World Cup, the situation was a total disaster and there was no federation. The national team was totally lost, without a commanding figure or a structure. Now, we are not inferior to anybody. "We will go again from this point. A route has been drawn out and we can't stop. Italy will have their own staff who are all developed at home."